Happy Monday! 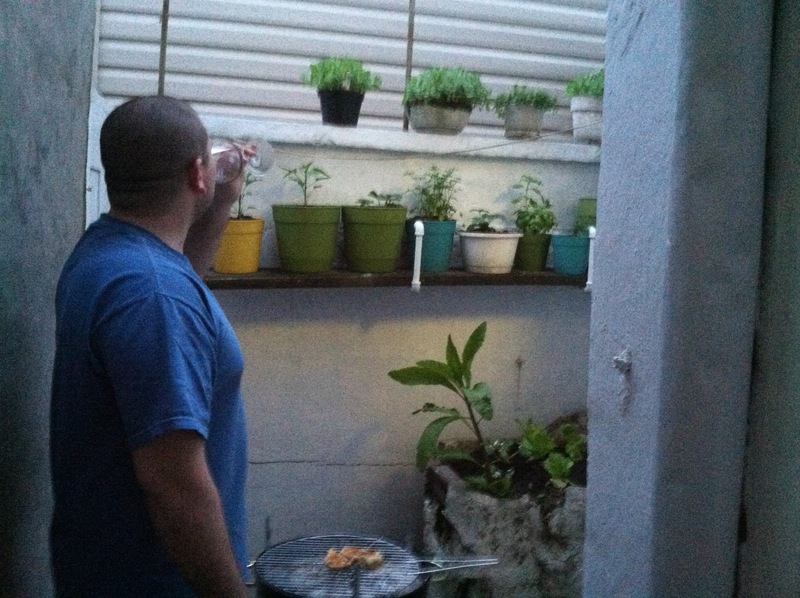 I mentioned in my last post that PJ had started a garden in our little back patio. Since I’ve managed to kill off every basil plant I’ve ever owned, I’m glad to have his green thumb. Here’s a view of our garden (and PJ). There’s a mystery plant in that concrete planter in the back corner! It’s growing super quickly, you can see how high it is getting. PJ thinks that it is rhubarb. So far, the basil and parsley plants are ready to be used. 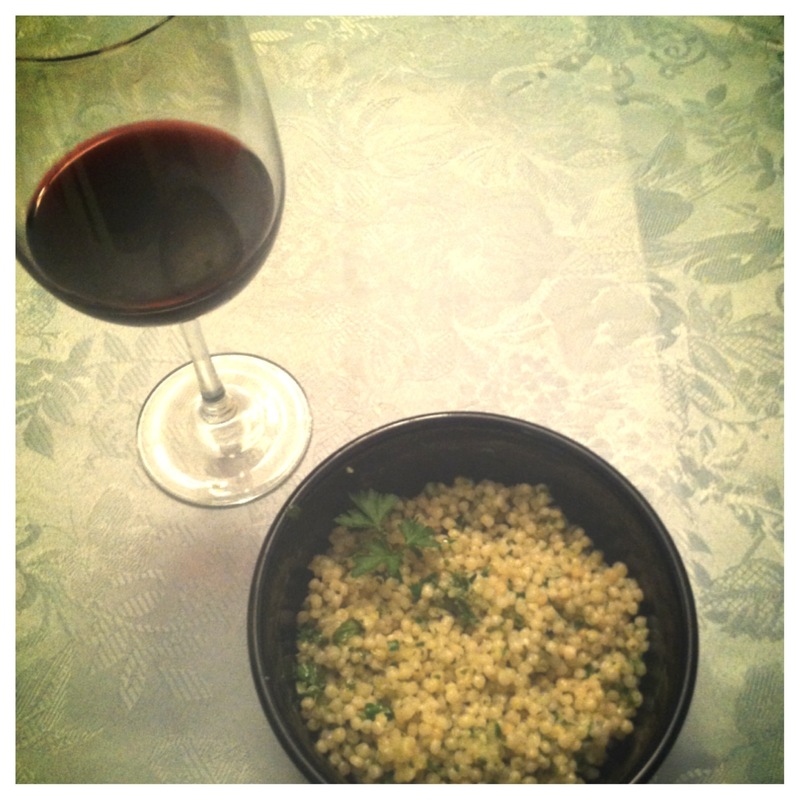 Last night, I made a rough pesto that I put over pearl couscous. It’s a bigger grain than regular couscous, but I think that it’s more delicious. I thought that it came out very good—and was great again for lunch today! 1) Cook couscous according to package directions. 2) In a food processor, combine a handful of fresh parsley and basil, 2 tablespoons thyme leaves, and 2 garlic cloves. 3) Once it is roughly chopped, add 1/3 cup olive oil, 1 tablespoon red wine vinegar, salt and pepper. 4) Combine with cooked couscous. Top if grated cheese if desired. 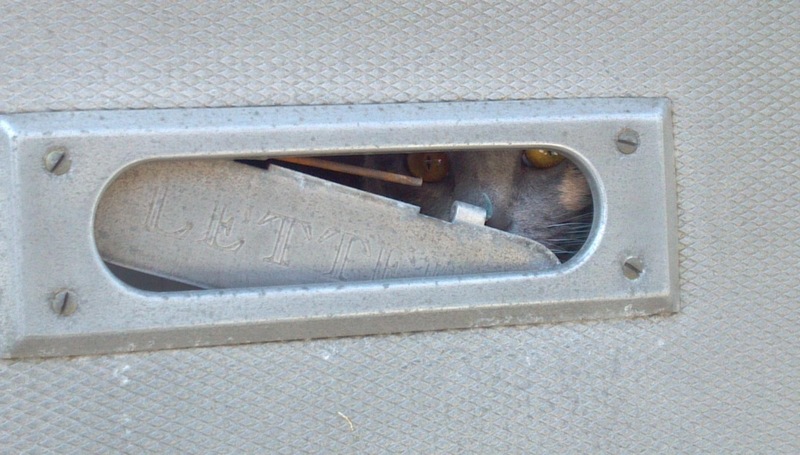 Now that we have a street-level door, this is the view people see when they walk by my house. Kay. The pestle looks wonderful. Sounds like you ‘re having fun. I really like pearl couscous too. Some times hard to find in SD. Thanks auntie pat! I actually usually get the pearl couscous at ocean state job lot, it’s a lot cheaper there!